Built c. 1900, this building was originally occupied by Watkinson & Company Grocers with residential tenants occupying the second floor. 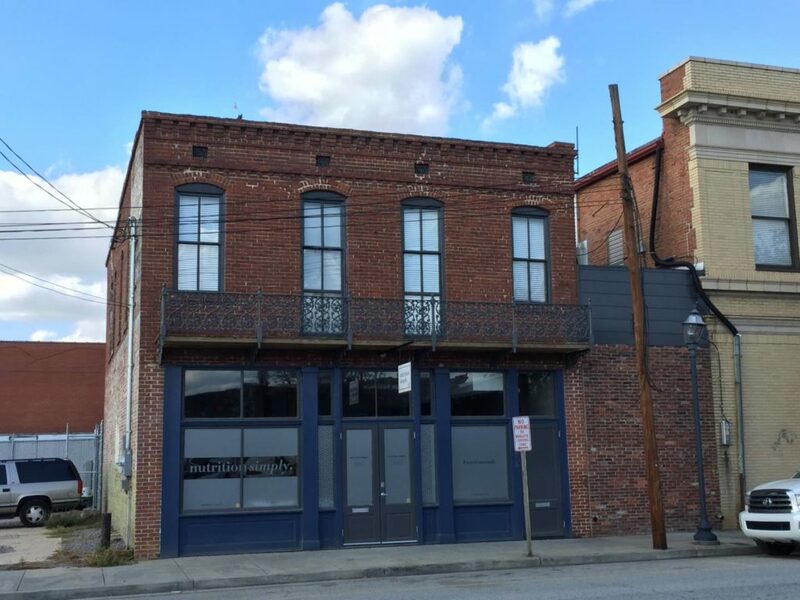 The property was suffering demolition by neglect but was purchased by preservation minded buyers who have already made a substantial financial investment in Augusta’s Downtown historic district. Utilizing historic tax credits, the rehabilitation retained original character defining features and materials and now acts as an anchor for the block it is located on. This created a new commercial space with a secured tenant on the first floor and one residential income producing apartment. The first floor presently serves as an open commercial space and the second floor has been restored as a residential unit.